Baking Mechanization Guide from C.H.I.P.S. Improve your ability to accurately obtain and interpret Extensigraph information! 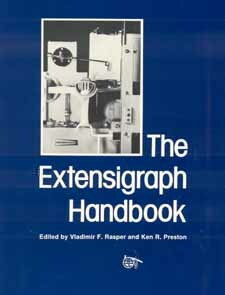 The Extensigraph Handbook covers everything from the history of the Extensigraph and the function of its parts to recent developments in physical dough testing. Also includes a trouble-shooting guide and an extensive bibliography.